The centenary of the Gallipoli campaign, one of the bloodiest of World War One, is marked with series of events held around the world. Princes William and Harry have met relatives of veterans on HMS Bulwark, ahead of a service on the Turkish peninsula. Australia, New Zealand and Turkey leaders will also attend the events. 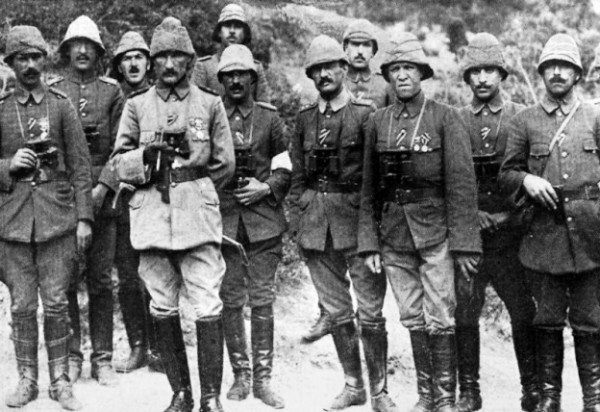 About 131,000 people – 45,000 Allied forces and 86,000 from Turkey – died in the campaign, which began in 1915. The fatalities included about 25,000 British forces, 10,000 from France and 10,000 from Australia and New Zealand. The series of events – to mark the 100th anniversary of the landings – will begin with a Commonwealth and Irish commemoration. Warships from Allied nations will fire a salute in honor of the sailors who died. There will also be an international ceremony organized by Turkey and a service to mark France’s participation in the battle. The events will commemorate the World War One campaign when allied forces landed on the Gallipoli peninsula in modern-day western Turkey – then part of the Ottoman Empire – in April 1915. However, the invasion failed, with the Allied forces unable to advance more than a few miles inland. A bloody stalemate ensued which lasted until Allied troops evacuated the peninsula eight months later in January 1916. Events will continue on April 25 with services to mark ANZAC Day, which is widely marked in Australia and New Zealand. The centenary is expected to be the largest ever commemoration of the battle, with Turkish President Recep Tayyip Erdogan, Australian PM Tony Abbott, New Zealand PM John Key and Prince Charles leading the ceremonies. Thousands of Australians, New Zealanders and Turks are also expected to make the journey to Gallipoli for the anniversary, including relatives of those who fought and died at Gallipoli. There are no longer any surviving veterans of the campaign. In London, Queen Elizabeth, the Duke of Edinburgh – who is patron of the Gallipoli Association – and Prince William will be joined by senior government and military figures to lay wreaths at the Cenotaph in Whitehall.